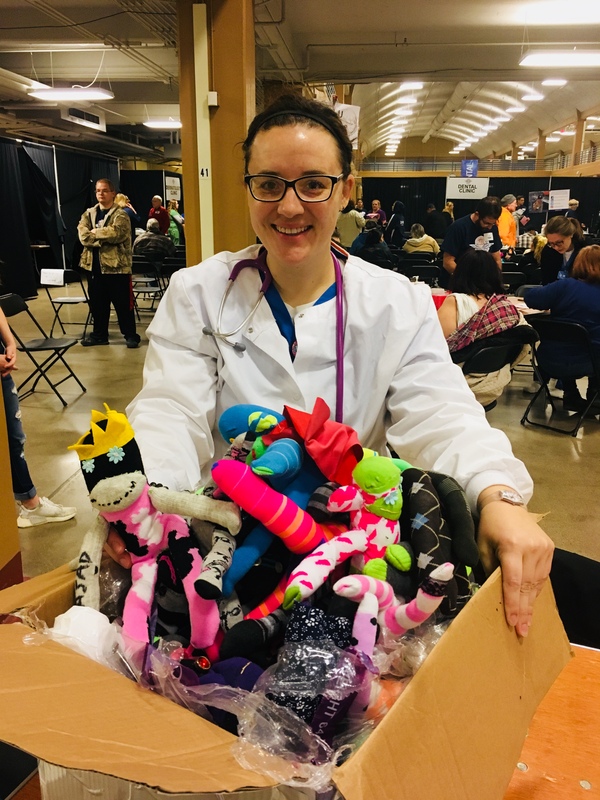 Operative Molli Warunek, DNP and a team of student Nurses from the University of Buffalo brought some much needed TLC and sock monkey fun to Knoxville, TN last month. These nurses are on volunteer mission with Remote Area Medical (RAMUSA), a nonprofit whose aim it is to prevent pain and alleviate suffering by providing free quality healthcare to those in need. 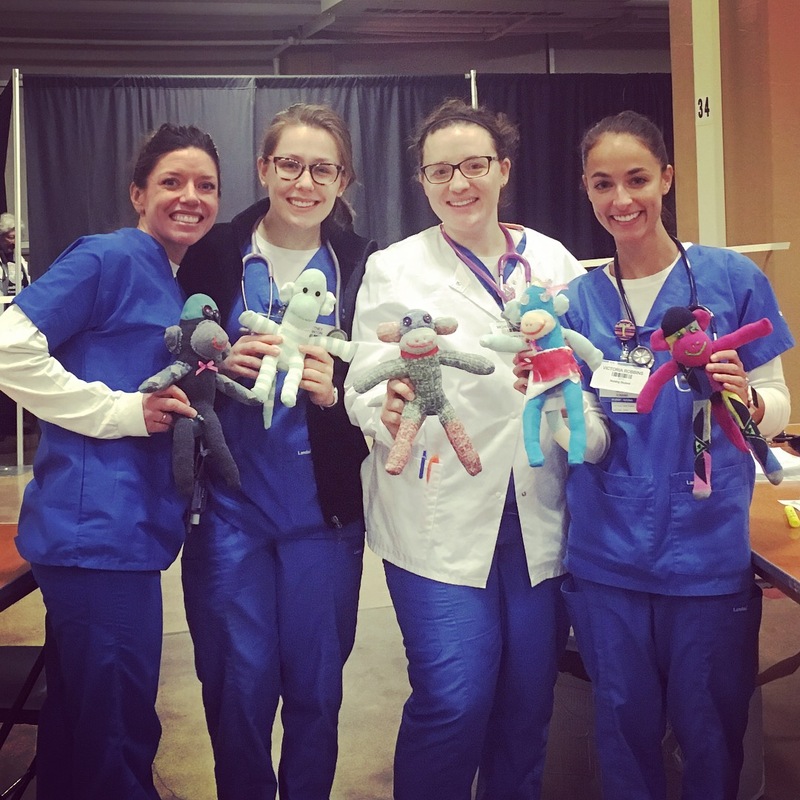 This team brought medical and dental care to an underserved population in Appalachia, and as you can see our OSM monkey delegates brought smiles and hugs wherever they went. 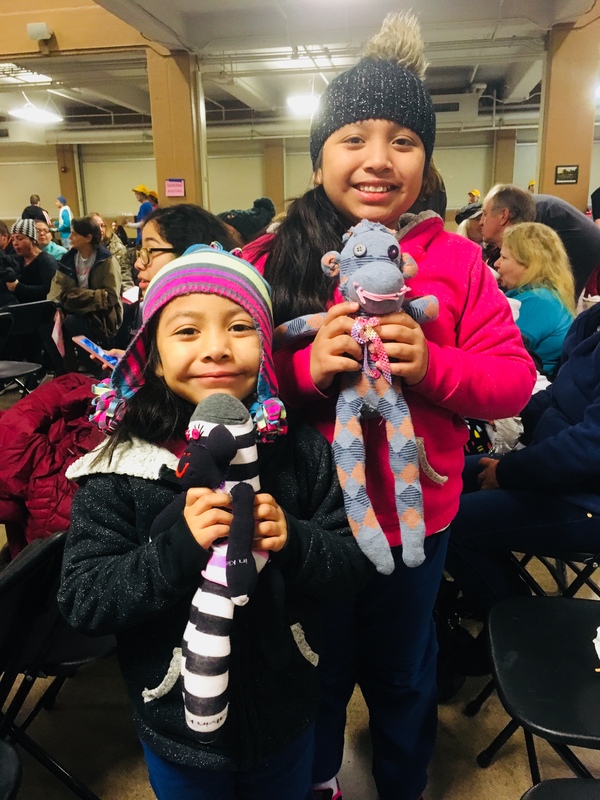 The sock monkeys were made by OSM Toronto Operatives, including friends at Toronto Public Library Danforth & Coxwell Branch, and our Lead Operative in the GTA, Diana Brugos. Thanks to all the monkey makers, and the medical professionals who helped them find new homes.